The workshop will take place on the DESY Hamburg campus. Please find below information on how to get there. 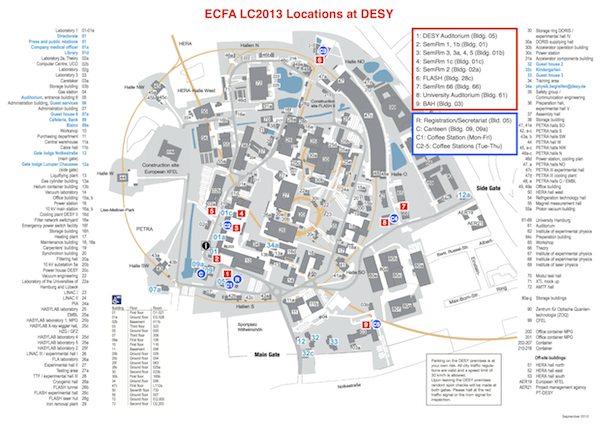 DESY campus map with ECFA LC2013 locations.